What about wood for a change, instead of plastic? 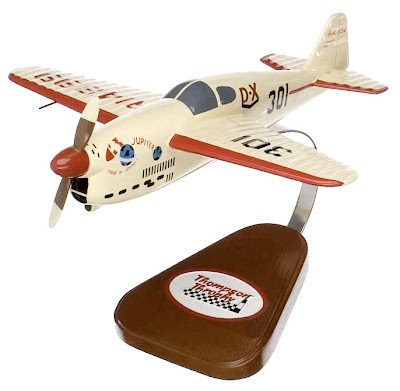 That’s what’s on offer from the Arizona-based Airplane Modelworks outfit. Airplane Modelworks has a huge range of display collectibles on offer - aircraft of all sorts naturally, but also for sale are tanks and spacecraft, not forgetting some sci-fi exotica, such as the machines from Gerry Anderson’s TV series Thunderbirds and Supercar. It’s important to realise that these are ready-built display models, and as such they are best used to decorate your den’s shelf or desktop. The purpose of these models is just that - display - and there is little of the intricate detail that’s available in even the cheapest plastic construction kit. But no matter, these are attractive craft objects, and work very well for their purpose. Among our favourites from the Airplane Modelworks range are the many single-seaters from the days of air racing in the US, the glory years of which were in the late 1920s and 1930s. Competitor aircraft were often one-off designs, and all were unusual and exotic - and are subjects, it has to be said, that have been very badly served by the plastic kit industry. Scales vary with these aircraft, so unified-scale fans need not apply. Carved wood air racers are available here. 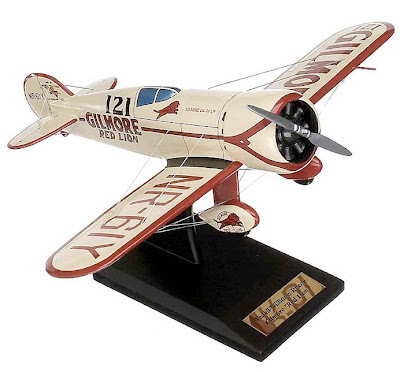 1 The 1:20 scale Gilmore Oil-sponsored Weddell-Williams ‘Red Lion’ air racer of 1932 has a wingspan of 400 mm (15.75 in). 2 Folkerts SK-3 Jupiter air racer, as flown to victory in the Thompson Trophy air race of 1937, by ace pilot Rudy King. The 1:16 scale model has a wingspan of 318 mm (12.5 in). 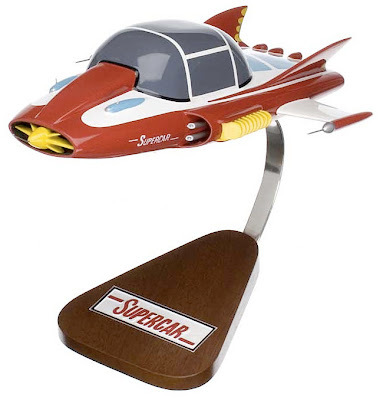 3 Gerry Anderson’s Supercar makes a retro-feast for fans of the puppet TV series. A pity though that it has no transparent canopy and Mike Mercury figure at the controls.